Disney’s just released the official US trailer for the fantasy film, A Wrinkle in Time, along with four brand new photos. The film’s based on the popular novel by Madeleine L’Engle and was adapted for the screen by Oscar winner Jennifer Lee (Frozen), with Oscar nominee Ava DuVernay (13th) directing. The star-studded ensemble cast includes Oscar nominee Oprah Winfrey (The Color Purple), Oscar winner Reese Witherspoon (Walk the Line), Emmy nominee Mindy Kaling (The Office), Gugu Mbatha-Raw, Michael Peňa, Zach Galifianakis, and Chris Pine. Newcomer Storm Reid stars in the lead role of Meg Murray. The behind the scenes team includes director of photography Tobias Schliessler, production designer Naomi Shohan, editor Spencer Averick, costume designer Paco Delgao, and composer Ramin Djawadi. Jim Whitaker and Catherine Hand produced, with Doug Merrifield executive producing. Disney’s set a March 9, 2018 theatrical premiere date for A Wrinkle in Time. 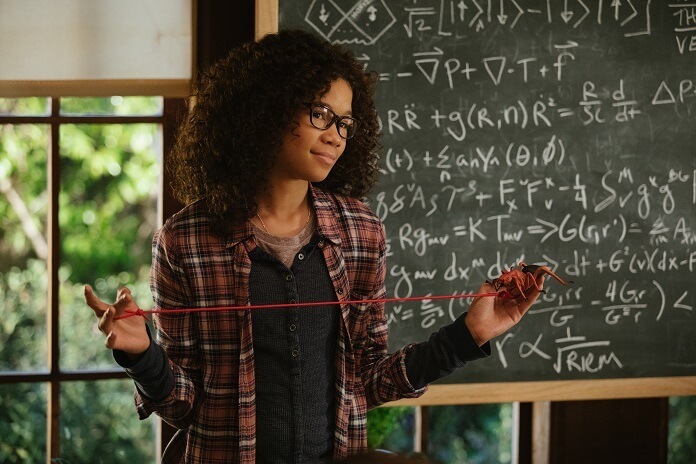 A Wrinkle in Time Plot: Meg Murry (Reid) is a typical middle school student struggling with issues of self-worth who is desperate to fit in. As the daughter of two world-renowned physicists, she is intelligent and uniquely gifted, as is Meg’s younger brother Charles Wallace (Deric McCabe), but she has yet to realize it for herself. Making matters even worse is the baffling disappearance of Mr. Murry (Pine), which torments Meg and has left her mother (Mbatha-Raw) heartbroken. Charles Wallace introduces Meg and her fellow classmate Calvin (Levi Miller) to three celestial guides—Mrs. Which (Winfrey), Mrs. Whatsit (Witherspoon) and Mrs. Who (Kaling) — who have journeyed to Earth to help search for their father, and together they set off on their formidable quest. Mindy Kaling, Oprah Winfrey and Reese Witherspoon in a scene from Disney’s ‘A Wrinkle in Time. 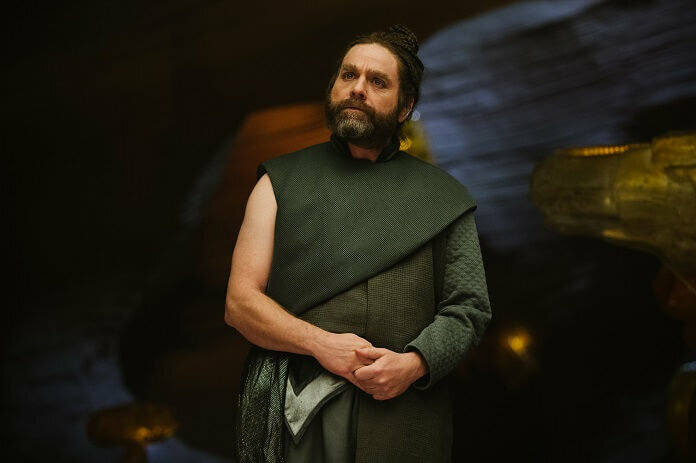 A scene from Disney’s ‘A Wrinkle in Time.